What to learn from the New Generations! The young generations have always been in charge of producing the necessary changes so that the markets adapt to the current trends, and those who have managed to adapt to this new flow of energy managed to integrate this endless new knowledge that opens up step on a site that has been maintained for so long. Union with technology:Most of the new members of the real estate world were born surrounded by all the technology that we know today, which gives birth to them with some kind of instinct to deal with it correctly. It is not a general rule but most are able to work without any problem with technology. Coworking:This way of working has become a standard in recent years because it allows you to meet countless different people and at the same time allows you to have job opportunities that can greatly benefit you. Teamwork and labor relations became part of the youth. 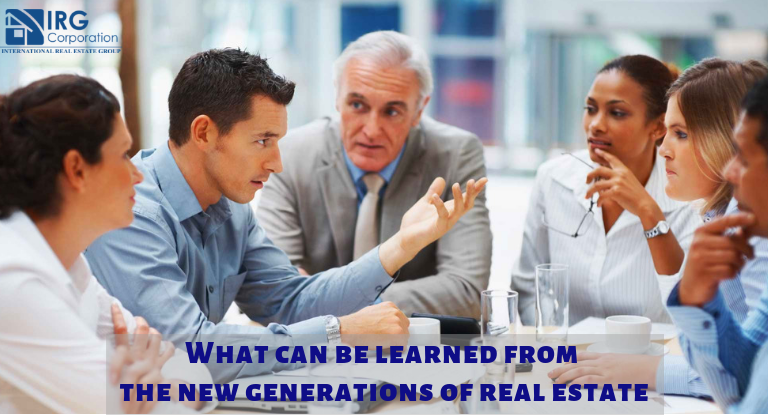 Vision of overcoming:: Most of these professionals start in the real estate with the goal of overcoming, with the desire to scale and in turn get all the possible knowledge to put into practice at the time you need it. This can also lead to frustration if things do not go well but knowing how to handle these situations will give you more tools for the future. Self-taught generation: Beyond the academy or the specialized studies, these people are in constant search of information due to the facilities that the internet has given them. They are able to be multitasking and have a wide knowledge of many necessary subjects. Never forget that this work area is as difficult as any other but it has a special touch in the fact that you work with a constant movement within the market, which means that sacrifices, dedication and delivery become part essential of work. Politician, educator and American philosopher. Real Estate Alert for 2019! Is it a Good Year for Foreign Investors?